Murray the K was born Murray Kaufman in New York, New York, on 14 February 1922. After an early career as a song-plugger, he moved into radio and in 1958 joined 1010 WINS. 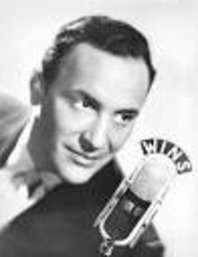 He remained there for seven years, becoming the most popular New York radio DJ. He was an early supporter of singer Bobby Darin, inspired and then 'broke' his hit single, 'Splish-Splash', and made a guest appearance on his "This is Your Life" TV tribute in late 1959. In 1964, he was one of the first Americans to interview The Beatles, firstly by phone, later joining them in their hotel suite. From then on he acted as their "Mr. Fix-it", arranging for them to visit all the best clubs and restaurants. He also championed their records and for a while, he dubbed himself "the fifth Beatle" and became a trusted friend of the group during their American tours, though not of manager Brian Epstein, who apparently resented his considerable influence. He left WINS in 1965 and later did a stint at CHUM in Toronto and then resurfaced as a presenter on WOR-FM - the first FM rock station. Married six times, he died of cancer on 21 February in 1982 in Los Angeles.